If you’re just starting out, it may be useful to know that the easiest way to make money blogging, is through a revenue model known as affiliate marketing. Since the overhead cost of starting a blog is so low, virtually anyone can create a blog and immediately start applying to affiliate marketing networks (and then individual affiliate programs for companies on those networks). And while money shouldn’t be your primary goal when building up your blog or website, it is an important consideration. 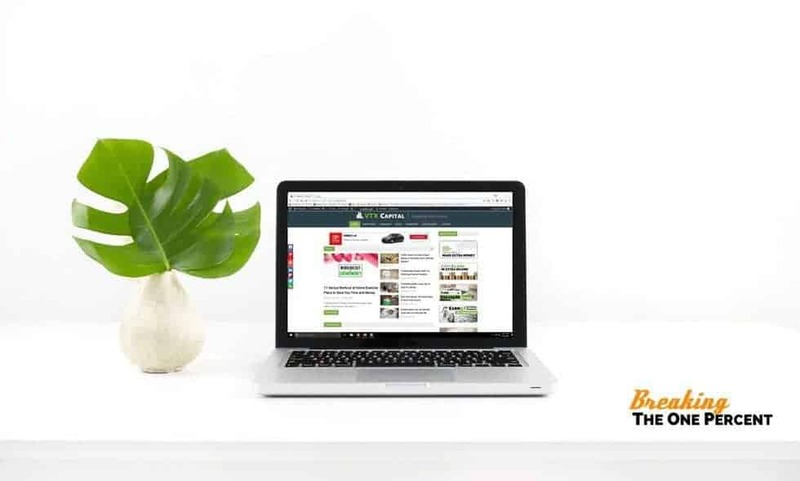 The first month Ben and I started actively pursuing affiliate marketing with our blog over at VTX Capital, we brought in over $1,100. A welcome development for a blog that had brought in $29.00 in it’s previous 18 months of existence. That small success motivated us to double down on our efforts on that front (and later inspired us to teach other bloggers how they can do the same thing). So without further ado, lets talk about the best affiliate marketing networks and affiliate programs you can be apart of to make money with your blog. Affiliate marketing, also known as Cost-Per-Action (CPA) advertising, in the blogosphere, is where a blogger receives a commission for facilitating an “action” on behalf of another company (or blogger). This process is usually initiated when a blogger places an affiliate link within one of their articles that subtly suggests (or directly suggests) that a reader should purchase a product from a third-party entity. This is a little different than display Cost-Per-Click (CPC) advertising (like Google Adsense), where you make a few cents every time someone clicks on whatever ad Google decides to display on your site for that user. Well, it’s simple. The commissions are much higher. Since you only get paid when your ads generate actual conversions, advertisers (the companies you are marketing for) are much more willing to pay publishers a higher commission. Since they’ve made a sale or conversion that they would not have made had you not referred the reader, you get paid extra. The one downside to affiliate marketing is that conversions are much harder pull off than just getting someone to click on an ad. That’s why having amazing content is so important; it’s the backbone of any successful affiliate marketer. The great thing about making money through affiliate marketing is that your earnings potential is nearly unlimited. The only limiting factor is how hard you are willing to work to grow your site. Before diving into the world of affiliate marketing, I think it’s important to step back and make sure your blog has a solid foundation. What does it mean to have a solid foundation? 1. You should already have a decent collection of high-quality content for your niche. 2. You need to have consistent traffic coming to your blog. I’d aim for at least 5,000 monthly visitors before you start spending time on affiliate marketing. You can start with less, but traffic needs to be your priority at this point, not money. 3. You should be active (to some degree) on social media. If you can honestly say that you have these three things down, then I think it’s the right time to start looking to join some affiliate marketing networks and start monetizing your blog. So instead of working with companies individually on affiliate marketing programs, many brands are on platforms called affiliate networks. These networks serve as a central point for hundreds — even thousands — of companies to run their affiliate programs on. Bloggers register their site on these networks (for free) and apply to the programs of companies that they want to partner up with and promote on their blog. There are several major affiliate marketing networks out there, and I think the best strategy is to join a decent handful of them. No one platform is going to have every company on it that you want to work with, so it’s best to cast your net wide. Also, some companies are on multiple networks but pay out different commissions (for example, the survey site Swagbucks pays $2.80 per lead on FlexOffers but only $2.20 per lead on Commission Junction). You want to make sure you are earning as much as you can. If you are at all familiar with affiliate marketing networks, then you have most likely heard of CJ (formerly known as Commission Junction). Despite having fewer merchants than ShareASale, they have virtually every major brand out there. Since CJ has such big brands (brands that have entire marketing teams dedicated to creating ads), that means you’re going to have a ton of options when it comes to banners and display creatives. Huge plus. The reporting capabilities that CJ has are out-of-this-world good. If you like spending a lot of time crunching the numbers and optimizing your sales, you’ll love CJ. Brands are held to a higher application standard. You’ll be doing business with companies that have a reputation for paying out affiliates on time, every time. The learning curve is pretty steep with them. I definitely wouldn’t recommend them as your very first affiliate network. Once you get more comfortable though with how the whole affiliate game works, I say give them a shot. Also, be sure to cross check merchants to make sure they don’t have a better deal for you on a different platform. I came across at least one instance of that happening. Swagbucks was paying out 21% higher commission on FlexOffers than they were on CJ. Maybe FlexOffers is one of my favorites because of the early success we’ve had with them over at our other site, but I’m okay with that. One thing I really like about FlexOffers is that they’re very user-friendly, especially if you are new to affiliate marketing. They were the first network we joined, back when we had no clue what we were doing. The user interface is clean and organized, and they are getting dozens of new companies on board every day to advertise with them. And like I said above, some of their payouts are higher than other networks (for the same advertiser). An all-around solid affiliate network. Customer service can be slow to respond. Like I said before, there is no one affiliate network that’s going to serve all your needs. Some merchants only have their products on one affiliate network, which means publishers (that’s you) usually need to join multiple platforms to get the most out of their affiliate marketing efforts. ShareASale is important to us because it’s home to a number of companies that help business owners perform better on social media. Since those types of companies are related to our niche, it made sense for us to join the network. Remember, you want to promote stuff that is relevant to your niche and your content. Don’t just promote random stuff. My favorite company that’s exclusive to just ShareASale is Tailwind. It’s a must-have Pinterest scheduler that’s responsible for a hefty chunk of our own web traffic. I like promoting it since it’s legitimately helped our business grow and I know it would benefit many of our readers. Check it out, seriously. You can start a 30-day free trial by using this link. Anyway, back to my thoughts on ShareASale. ShareASale is a capable network that is home to about 4,000 merchants, 1,000 of which are exclusive to them. I have never had a problem with ShareASale (which is more than can be said for a number of companies we work with) and they’ve always paid out in a timely manner. One of the things I like about ShareASale is that they will notify me if a publisher is low on funds — this is important to me because if I know a certain company is balking on their payments to affiliates, I can choose to cut ties with them or replace their ads with another, more reputable company. It doesn’t happen often, but it has happened, so I really like ShareASale giving us a heads up. Some of their advanced tracking features are a little outdated (their SubID tracking system has annoying limitations). My biggest gripe would be that the visual appearance of the platform is a little bit dated, and at times, somewhat hard to use – they could probably benefit from a website makeover. Overall, still a useful site in our affiliate marketing repertoire. I recommend signing up with them. So you’ve applied (and have been accepted) to all three of the affiliate marketing networks here. Now what? Joining all of these networks can be overwhelming. I know because that’s how I first felt! Just take it one step at a time. Because FlexOffers is the easiest to navigate, I recommend starting with them. Once you’re approved as a publisher with them, it’s time to start browsing advertisers that you would like to promote. Many advertisers take their sweet time in reviewing applications, and some will even reject you. That’s okay! Again, cast your net wide and see who accepts you. From there, you can work on figuring out how you want to promote them with your content. When you start out, it’s easy to get tunnel vision on the highest commission offers. The problem with those, though, is that getting those conversions is very difficult (that’s why you’re paid more). You’re better off building momentum at the beginning by promoting something that’s easy to convert. For me, I found programs in my niche that offered a couple bucks just for an email signup. That’s easier to promote and convert than a $100+ dollar item. Once you start getting decent traffic, those small commissions really start to add up. I can pay my rent each month just off of revenue earned from sub $3 commissions. Don’t ignore these! So, are you ready take the challenge and get started in affiliate marketing? I can tell you firsthand that it truly has the power to change your life. If you’ve been struggling to make money from your blog, I strongly encourage you to give this stuff a try! As long as you stay true to your values and focus on promoting companies that you believe in (and are relevant to your niche), you can do very well in this space. What affiliate marketing networks (or programs) do you use? Let us know in the comments! VTX Capital is now DollarSprout. 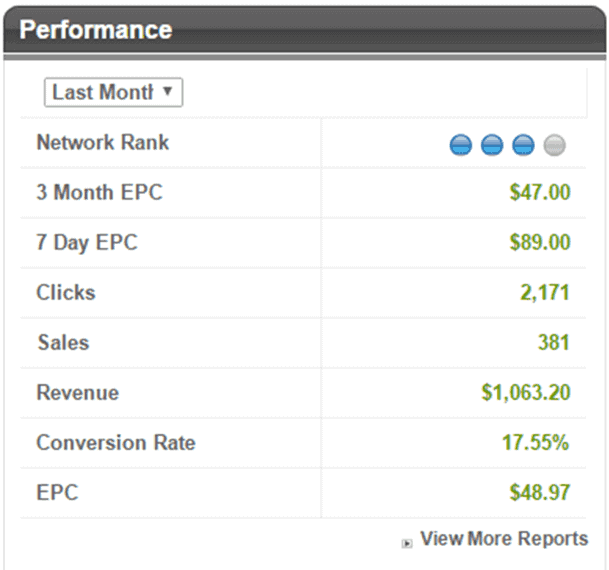 Affiliate marketing is still our primary earning model, responsible for over $20,000 of our current monthly revenue. Great post. I’m going to look into joining the 3 networks you’ve recommended here. Thanks! Thanks so much for sharing this! I just started to use affiliate marketing on my site, and it really is a great revenue generator for bloggers. If you have great content. Thank you for this! I am new at affiliate marketing and at times it can be so overwhelming! Thanks Kirsty-Rose! I just took a quick peak at your website- definitely a lot of potential there for you to be crushing it with affiliate marketing! Great post! I will definitely look up these affiliate programs. Thanks for sharing! Interesting post. I am a fairly new blogger and have just started dipping my toes in affiliate marketing so I have a lot to learn. Congrats on getting started- often that’s the hardest part. As long as you start slow and take it one step at a time, eventually affiliate marketing can really REALLY increase your earnings. Thank you so much for this article. I’m going to have to bookmark it, so that I can share it with my other blogger friends. I just started researching affiliate marketing so this is perfect! Way to go, Tay! It can definitely be a game-changer for you blog. Best of luck! Finally a post on affiliate marketing that isn’t trying to make me buy their course. Thanks so much I’m with Amazon and shareasale right now. Gonna check out the other two! Glad this could help at least a little bit! I’m by no means an expert and I haven’t taken any courses yet (I’m way too cheap for that), but I think eventually I might cave and do it. Since we’ve had some quick success with affiliate marketing it might be worth diving in deeper at some point. This was the best post I’ve seen on affiliate marketing. Loved that you have actionable steps to take- thank you! I also just took a look at your site and it looks AWESOME. You can definitely do well with affiliate stuff- so much potential!! Thanks for the kind words, Neil! It takes time to build up your audience, which is one of the most important parts of affiliate marketing (you need people to sell to!). Check out the Pinterest article on here if you need help building up your web traffic or shoot me an email for more personalized help! Thank you. Best of luck!! Great info… I’m currently developing my site and hoping to launch at the end of the month. Any suggestions/tips to get approved with a new site with little to no established traffic? Hey Shaun! Usually the networks themselves are fairly easy to get onto. Some advertisers like to know your traffic numbers, but most I think just give your site a general look over to make a decision (from my experience at least). Some programs may turn you down, but there is no reason why you can’t reapply in a few month when you are more established. I would say the biggest thing for you is just make sure your site looks clean and presentable! Best of luck with the launch! The good thing about affiliate marketing is that this industry is here to stay and will always be a reliable source of revenue for affiliates and bloggers looking to turn their side hustle into a full time business.